Blood Red Syrah by Steve Corbett is available on Amazon for $19.99 for paperback and $9.99 for the Kindle version. The hills of San Luis Obispo and Santa Barbara counties are dotted with wine grapes as far as the eye can see. But in those twisted vines, former Santa Maria Times journalist Steve Corbett saw something more— a tale of bloody vengeance and even enlightenment. After five years of covering undocumented immigrants, outlaw bikers, the Michael Jackson molestation case, and more, Corbett went back to his roots in Pennsylvania and wrote the novel Blood Red Syrah, about middle-aged Wally Wilson's psychedelic pilgrimage through California's Central Coast wine country. New Times spoke with Corbett about wine, writing, and more. INTOXCIATED WITH THE COAST After five years writing as a columnist on the Central Coast, author Steve Corbett was inspired to write a novel set in the area's wine region. New Times: What is Blood Red Syrah all about? 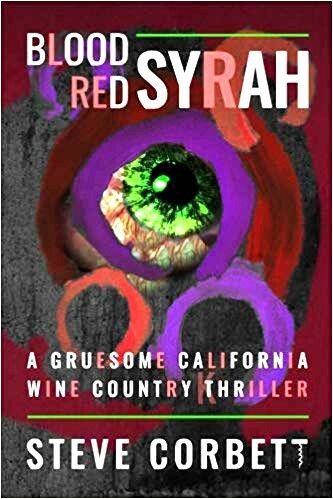 Steve Corbett: Blood Red Syrah is a gruesome California wine country thriller. I see it as a novel of human madness that goes to the search for truth. NT: What inspired you to write Blood Red Syrah? SC: I've been a writer my entire life. The inspiration always comes from the way people treat each other. The lessons I learned as someone who worked desperately to be a Californian, I recognized the many Californians that existed on the Central Coast. NT: How does your protagonist, Wally Wilson, end up on this journey? SC: Wally Wilson is a very likeable, loveable, seriously mentally ill serial killer. People even in the depths of their madness can be decent people. Wally goes on this pilgrimage because he wants to be better. He wants to be happy. NT: How did you get into writing fiction? SC: I was always a writer, but as a journalist it's a very different kind of work. I'm a voracious reader. I've always read fiction. SC: I sit down, I open up the computer, and I just let it rip. My brain is always working overtime, all the time. I'm someone who always wants to tell a story. I sit down and see where it goes. 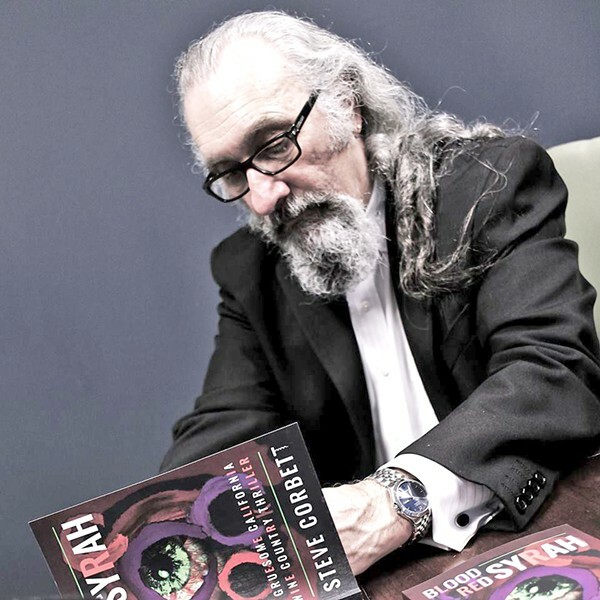 BUZZED Blood Red Syrah, a psychedelic thriller by former Santa Maria Times journalist Steve Corbett, came out in October. NT: Who is your target demographic for Blood Red Syrah? SC: Anybody who reads and thinks and wants life to get better. There's hope in this book, even though it's also gruesome. NT: Who are some of your favorite authors? SC: I started thinking about crime fiction when I started reading Elmore Leonard. He was a great influence. Jimmy Brezden and Pete Hamill are both great newspaper columnists who also wrote novels. I've had a lot of influences from a lot of writers. T.C. Boyle is a great novelist. NT: What do you want readers to take away from Blood Red Syrah? Arts Writer Ryah Cooley is sipping a Paso Robles cabernet. Contact her at rcooley@newtimesslo.com.